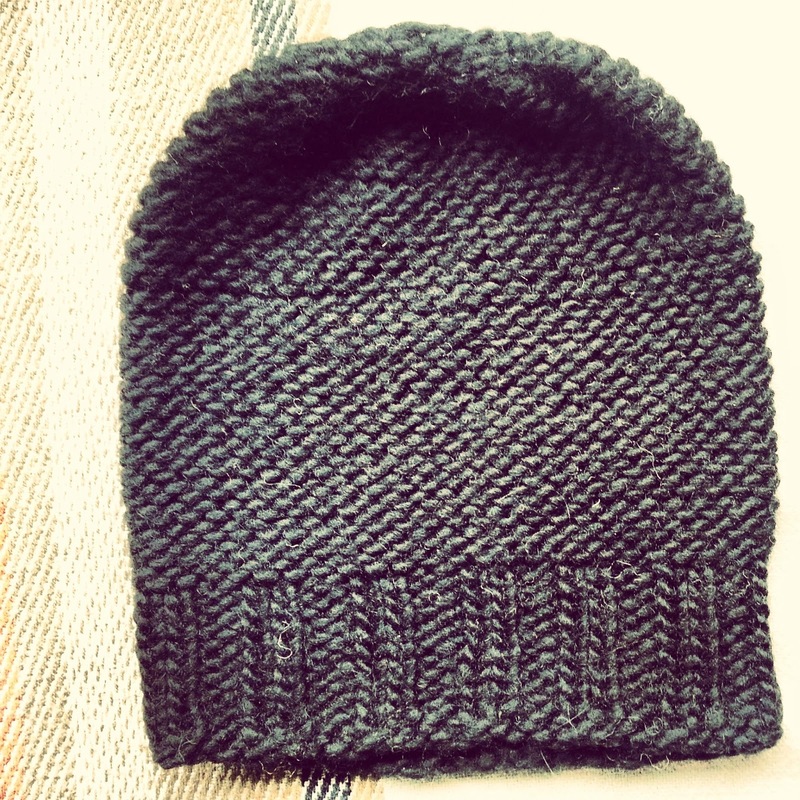 I just watched Dear John with Channing Tatum and Amanda Seyfried, during which time, I knitting this hat. Super Bulky yarn and thick gauge needles means this grows so fast, it's done before you know it! Naturgarn by Gjestal, or any Super Bulky (5-6 wpi) weight yarn. 9mm, 80cms long circular needles or DPNs. 6mm, 80cm long circular needles or DPNs. Using any 10mm needles, cast on 52 stitches. Using a larger gauge needle to cast on gives a more comfortable fit. Switch to 6mm needles and join work. Here you can use the double pointed needles or the Magic Loop method with longer circular needles . Try not to stretch the work out if using shorter circular needles. K2, P2 until work measures 7cms. Switch to 9mm or 10 mm needles and knit until work measures 23cm-24cm. Place marker to shape crown. Row/Round 1: K2, K2tog to marker. Row/Round 2: Knit the next row/round. Row/Round 3: K1, K2tog to marker. Row/Round 4: Knit the next row/round. Row/Round 5: K2tog to marker. Row/Round 6: K2tog to marker. Cut yarn, thread onto a tapestry needle and thread through the stitches, while removing the needles. Pull tight and weave in ends. 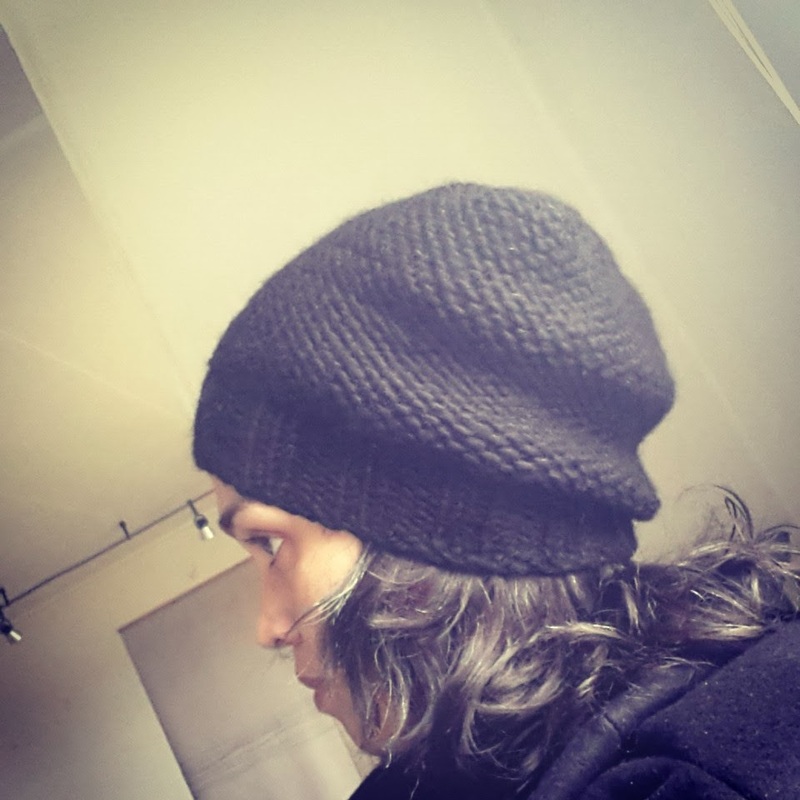 The hat shown is worn with the reverse stocking stitch on the outside, but I actually neatened up the threads on the inside to make it reversible.